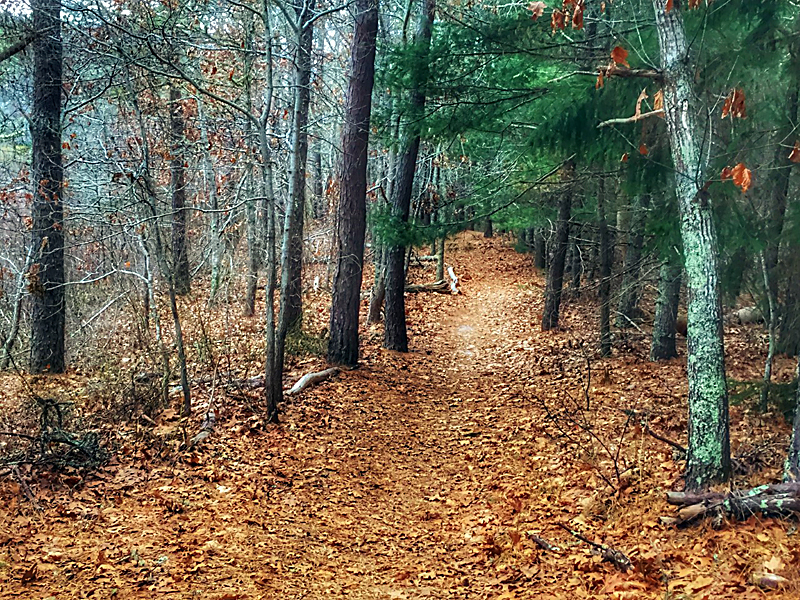 Twinings Pond Trail In Orleans On Cape Cod Is On The Alltrails App. 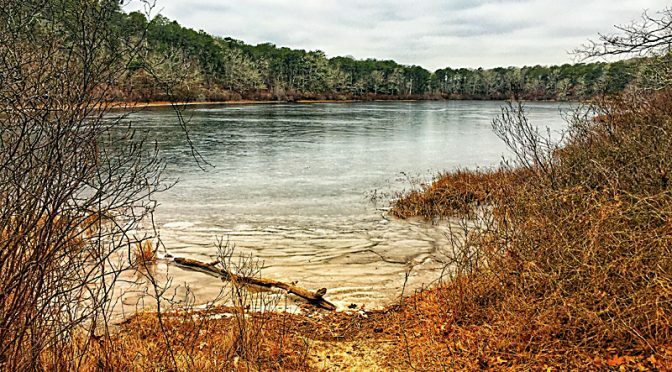 Twinings Pond Trail is a beautiful hike in any season. It’s shaded in the summer and sheltered in the winter. 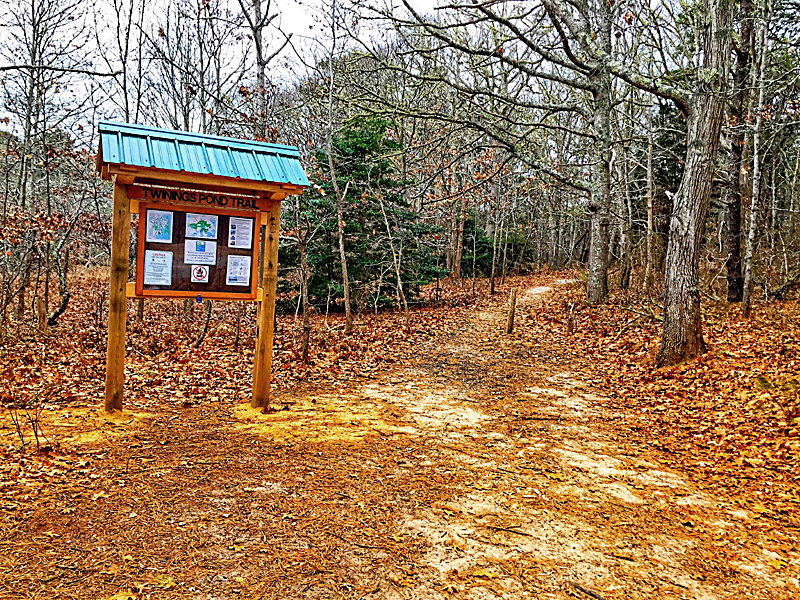 The trail winds through the forest which overlooks Twinings Pond, a kettle pond, and then forms a loop back to the beginning. It’s a wide trail and perfect for the whole family! A full map is at the end of the blog. You can see the map that we recorded with the distance and elevation. 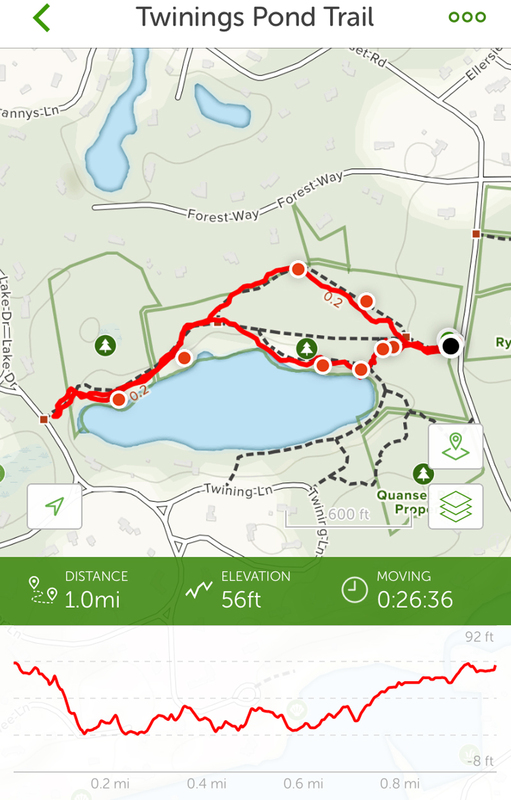 The AllTrails App has been so much fun to use! Previous PostThe Ice Is Really High At Rock Harbor On Cape Cod!Next PostSunset Through The Beach Grass On Cape Cod Bay. The natural world meets the digital world and it’s a good thing!